Solo cello performances, exploring new sounds and techniques – as well as honouring traditional ones – are what my cello and I were born to do! Here you will find all sorts of celloriffic fun stuff; if you love the cello, you've come to the right place! Enjoy! 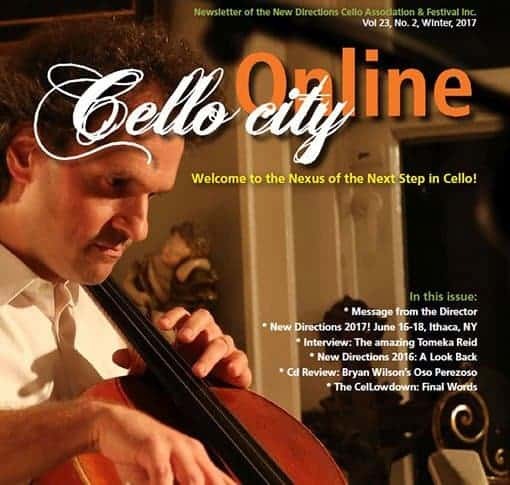 Newsletter of the New Directions Cello Association. A celloriffic labour of love that I am editor of. A radio spot for the upcoming rally. Be there!